It’s a New Year. Full of potential. Why not do something different? Take the challenge!! 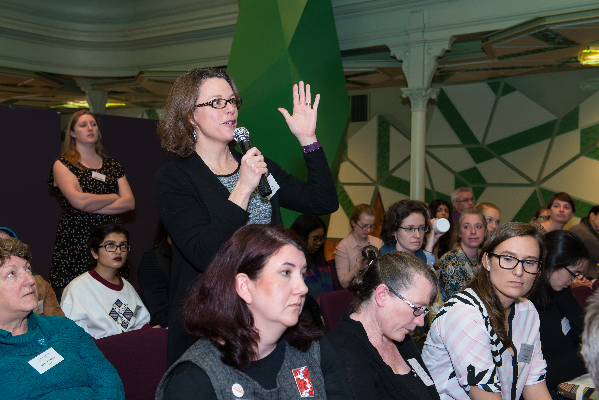 Michelle Gallaher, co-founder of Women in Science AUSTRALIA shares her vision and goals for 2015 – and invites you to get on board!! Michelle Gallaher has an undergraduate degree in Allied Health from La Trobe University and postgraduate qualifications in business. She is a graduate member of the Australian Institute of Company Directors (AICD) as well as a Fellow of the Australian Institute of Management a corporate sponsor of Youth Projects and a Patron of the Melbourne Theatre Company. Michelle was the Chief Executive Officer of the BioMelbourne Network for 6 years and is considered a leading voice in the life science industry. Now a technology entrepreneur, Michelle is the Creative Director and Co-Founder of The Social Science. Michelle is a well-recognised science and innovation commentator on social media, particularly in biotech. A regular guest blogger, she publishes often and presented at TedX in 2014. Women in STEM is a subject that Michelle is very passionate about. She established the annual Connecting Women in Biotech Lunch in Melbourne for 450 women and advocates gender balance, promotion of women into leadership roles and improved workplace diversity and equity standards in the STEM industry. 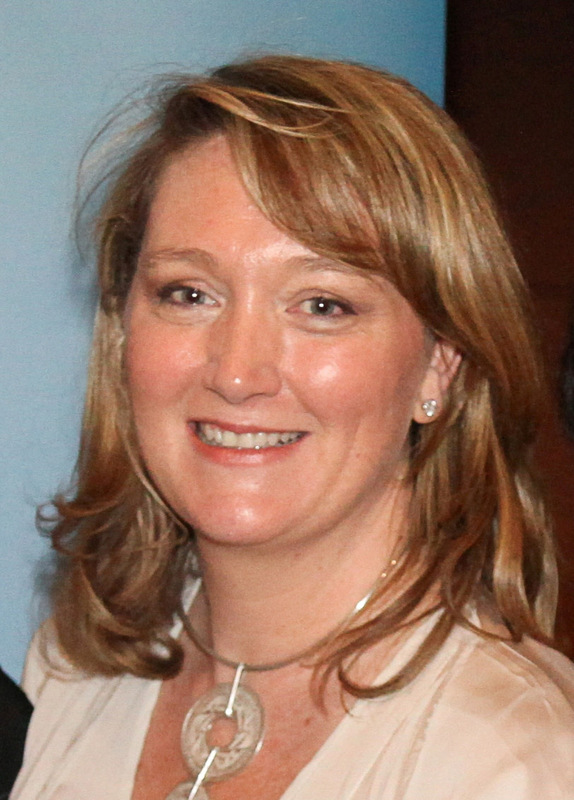 Michelle mentors women in science industry and is Co-Founder of Women in Science AUSTRALIA. A few months ago I quit a brilliant job to start my own company. As the news filtered out that morning I got a volley of text messages from friends and colleagues in the Victorian biotech industry. The first message was from a great woman who is a CEO of a small unlisted biotech company – “good for you’ she said, ‘I’ve not doubt you will be a huge success.’ Then another and another. All from women. In fact the first twenty-one text messages I got that day were all from female biotech colleagues. My email feed looked similar, dominated by messages from women. That’s an extraordinary fact, because the biotech industry around the world, including Victoria, is largely dominated by men. It’s not that men are bad at texting, nor slow off the mark in encouraging others, it’s because the network of women in the life sciences industry in Victoria is particularly strong, unusually strong. I’ve often compared my experience with working with women in the pharma biotech industry versus my experience with women the medical research sector. I’ll take industry every day over the research sector. I think it’s much harder for our sisters in research. The management and social structure of competitive research, the availability and eligibility criteria of public funding models, the conference circuit and the inflexibility of the laboratory management system all add complexity and difficulty for ambitious women in science. Not that industry is a walk in the park. Industry jobs can be extremely precarious, unpredictable, dependent upon fickle investors, clinical trial results and the whim of boards. There are no ‘safe’ jobs in industry and its notoriously hard to break into. The Australian biotech and healthcare index on the Australian Stock Exchange has the highest percentage of women in leadership roles than any other industry in the ASX. Australian biotech is a standout with 17 female CEO’s or Board Chairs. Key Management ranks are full of women in every conceivable role including the big ones: Chief Scientific Officers, Chief Financial Officers, Business Development Manager, Heads of Marketing, Company Secretary. The statistics prove industry is a more diverse and equitable environment. Look at the service provider sector in Australia; patent attorney’s and lawyers, accountants, economists, government bureaucrats, public affairs, clinical trials, contract research and management consultants. You will find a very respectable representation of women as Partners, Directors and General Managers. Although engineering, industrial design and advanced manufacturing could lift their game but its clear that the research sector needs to restructure its thinking on diversity and equity to remain competitive. I’ve refined my life-long interest in Women in STEM (science, technology, engineering and maths) in industry to now being very focused on promoting Women STEM entrepreneurs. Now this is a really rare group, particularly in Australia. I really want to know what holds women in STEM back from starting their own company? And I want to see more young women taking a shot at science entrepreneurship. The biotech industry is great for women leaders but few of these women are the original founder. We have so many outstanding female scientists, why don’t we have even a reasonable number of female STEM entrepreneurs? I was recently at an event with Bruce Billson MP, Federal Member for Dunkley and Minister for Small Business. He told me that women outnumber men in business startups in Australia. Yet the number of women in STEM startups is miniscule. Swinburne University is offering a PhD program at the ARC Training Centre in Biodevices and Diagnostics in 2015 and its going to be a game changer I reckon. The kicker is the embedded units from the University’s Masters in Entrepreneurship and Innovation with at least a third of the three year program located in medtech industry. A host of Victoria’s finest medtech companies on board as partners and plenty of young women applying for the program. Sensational. I was fortunate last year to be involved with the Medtech’s Got Talent competition hosted by STC Australia in Melbourne. This is a fantastic platform for emerging biomedical device and diagnostics entrepreneurs who are Victorian undergrads, PhD’s and Masters students or early career postdoctoral fellows in universities, hospitals or companies. I was a judge of the handful of finalists who made it through to the end and it was so pleasing to see two women in that final group of ten. But compared to the total number of women to men in the whole cohort, women made up less than ten percent. There are precious few opportunities like this one in Australia and we need to grasp the chance with both hands and we need to encourage more women to take a chance. Medtech’s Got Talent is on again in 2015 and I want to see more young women in STEM take up this opportunity. If I could be 27 again, I would walk the path of entrepreneurship so much sooner than I have. To be an entrepreneur with no mortgage, no children and no baggage would be terrific. If I fail now, everyone knows me and its very public. At 27 no one knew me and no one would have known if it didn’t work out. At 27 you can dust yourself off, pick yourself up over and over again. At 47, I’m not sure how many more free kicks I’ll get at success but I’m taking a shot at it anyway. My personal challenge for 2015 is to reach out, to find young female entrepreneurs and to bring them close; steer them towards the many wonderful programs that support women like Springboard Australia, investors that select only female entrepreneurs like Scale Investors and to see all women maintain their impressive growth in the maturing biotech and medtech industry in Australia. If you know of a female entrepreneur and she needs a champion and a friend. Send her to me. She can join my club. I’m recruiting. Thank you for an inspiring and resourceful post! I have just left academia to start a NFP, and have many friends doing the same (businesses, NFPs etc). What a great idea!